The oil rich country of Iraq is facing a possible collapse. Sunni militants, largely shut out of the new government installed by the U.S. after our illegally invasion and occupation are overtaking large parts of Iraq in a quickly developing story. 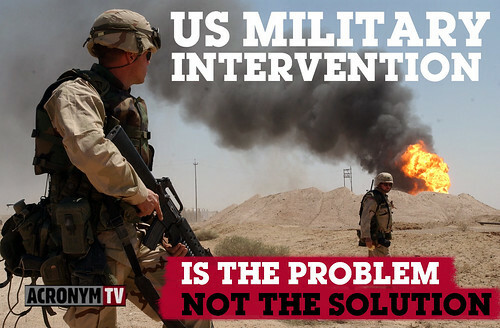 U.S. foreign policy seems to lack the imagination to do anything but intervene militarily. How that intervention takes shape, whether it be in aid, advising, air strikes, boots on the ground, or the kind of shock and awe only a Nobel peace prize winning Commander in chief can deliver remains to be seen. Joining Dennis on Acronym TV this week to discuss the situation in Iraq are Lila Garrett and Dr. Dennis Loo. Lila Garret is a two time Emmy winner for her work in TV comedy as a writer/producer. For her progressive political activism, in 1991 she was the recipient of Senator Barbara Boxer’s WOMEN MAKING HISTORY AWARD. . In 2004 she was So. Cal. Chair of the Kucinich for President campaign. For the last 9 years she has hosted the radio political talk show, “Connect the Dots” heard every Monday morning at 7 on Pacifica’s KPFK in Los Angeles and on line atKPFK.org. Dr. Dennis Loo is a Professor of Sociology at Cal Poly Pomona. He has won national awards for his scholarship, his journalism, and his activism. Loo is the author of Globalization and the Demolition of Society and co-editor/author of Impeach the President: the Case Against Bush and Cheney. He writes regularly for his website DennisLoo.com and sits on the National Steering Committee of the World Can’t Wait.